It has been a great year here at Farm Jeep. 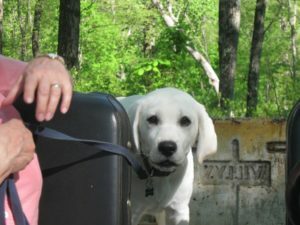 First came Teddy, the new Lawson Hill Farm puppy. Teddy arrived in March and quickly took up his role as official Jeep dog. 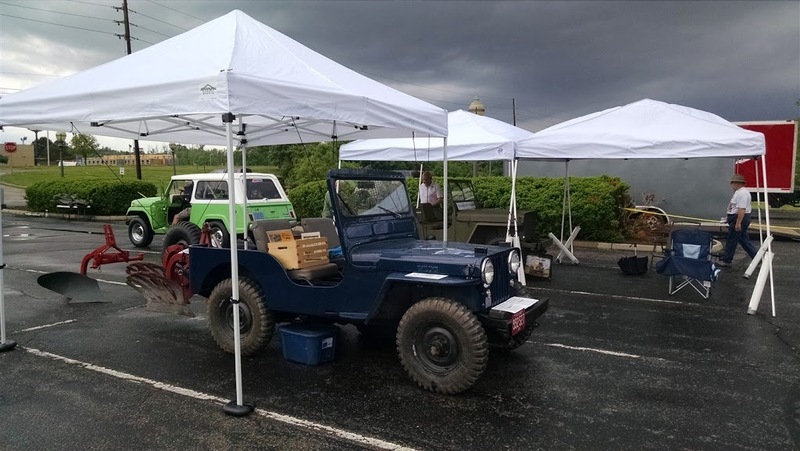 In May, the Spring Willys Reunion was held in Farm Jeep’s hometown, Columbus, Indiana. 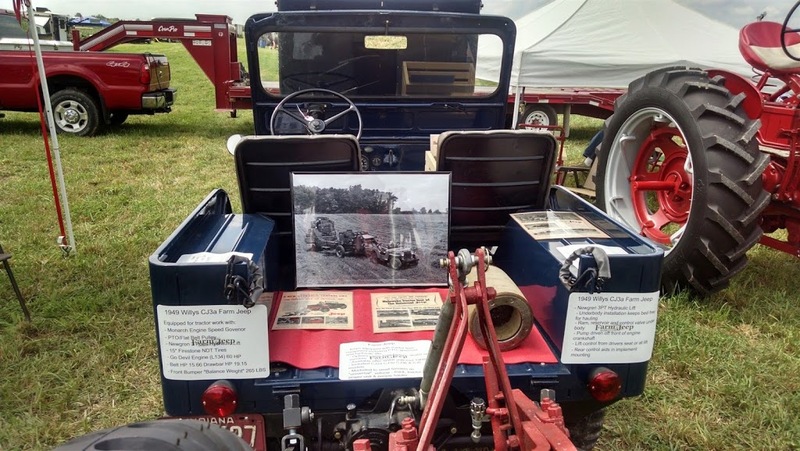 We gave a presentation on the history of the hydraulic lifts that made the Jeep a fully functioning utility tractor. May is our favorite time of year in Indiana, filled with bright, sunny, warm days. But not this year. Storms battered the show, but it was a still a great time. Summer time and the living is busy. We took the Farm Jeep to a number of antique tractor shows across south central Indiana. 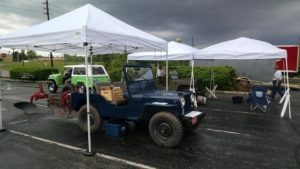 These are great events for collecting stories about how Jeeps were used on farms. We plan to post some of those stories here. We also returned to the county fair where the Jeep has become a crowd favorite in the antique equipment tent. The fall edition of The Dispatcher Classic Willy/Jeep Magazine contains an article, the first of a series on the making of the farm jeep. More articles will be published in the coming year. 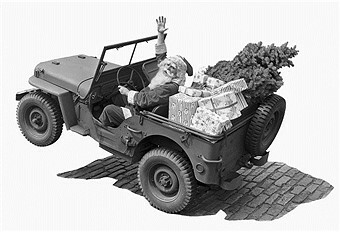 We have enjoyed working with the editor and the Jeep community in gathering information for our take on history. The year ended with the surprise of a Bantam plow finding us, as described in our last post. What a very fun year. We definitely look forward to all the discoveries of the next Farm Jeep year. 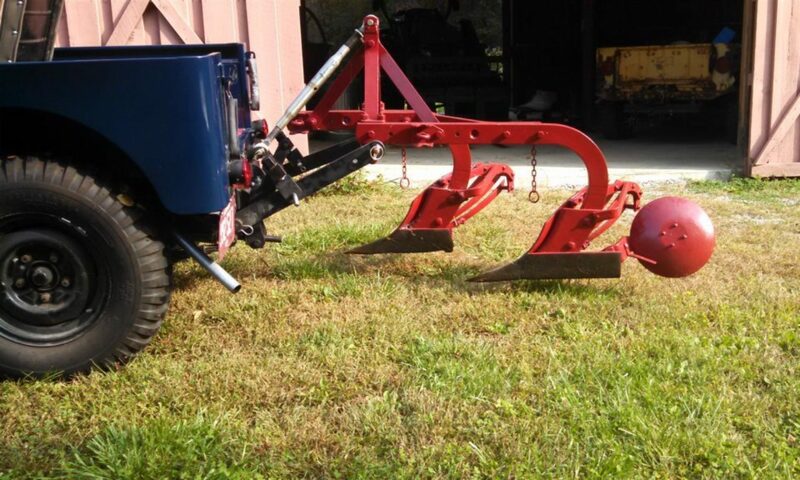 Previous PostPrevious A Bantam Plow Saved From the Scrap Pile! Next PostNext 1956 CJ5 Jeep Ad – First appearance of a Stratton Hydro-Lift?